On Race Day some roads will be closed and West Sacramento's Finest will direct you once you get in the vicinity. ADDRESS: Plug in 100 Waterfront Place, West Sacramento, CA. That will get you as close to the beer tent as possible. BICYCLE VALET. If you are not walking distance the preferred method to getting to the event is by bicycle. SABA will have their secure Bike Valet Parking available on both days. BICYCLE VALET TIPS: Although the bike valet is free, its a great service run by volunteers and you are highly encouraged to toss a few bucks in the tip jar. They sit in the heat and watch your bike so no one steals it or messes with it while you get to watch a rad race, drink beer, slam dance, and generally enjoy the day in a carefree manner. That is easily worth five clams. RIDE SHARE: If you are in an Uber/Lyft punch in the address above and it will get you there. AMTRAK: If you are coming from the Bay Area consider Amtrak. The Sacramento station is less than .5 miles away, just across the river. PARKING: Spectator and Competitor parking will be available in the covered parking structure of the Ziggurat for $7/day. Follow signs and directions when you get there. Don't drive into the structure with a bike on your roof. Club teams have an area on course for tents only and is first-come-first-served. PRO TEAM AREA: If you are interested in Team Area Parking contact the Race Director. Pro Teams have a reserved lot for a limited number of vehicles that is as close to the pits as vehicles can get. It is $100/weekend for two reserved spaces, close to the pits, with port-o-potties nearby. HO-TEL, MO-TEL, HOLIDAY INN! The Holiday Inn Downtown Arena is our partner hotel for this event and you can get a room there for $129 a night, which is pretty good considering its a very nice hotel .7 miles from the race and right in the middle of Downtown Sacramento. Go to the WSCXGP Lodging page to get a link for the special rate, which is limited and first come first served... book now! There are several other hotels within walking/biking distance of the race of varying levels of sketchiness. Choose wisely. But if you really want to go explore here are some ideas... Walk over to Edible Pedal and check out the vintage and slightly used bikes for sale. Next door to that is an ice cream shop called Devil May Care where they make the good stuff fresh every day. A brand new Burgers and Brew is also right there as is a great new coffee shop called Bean & Barrel. 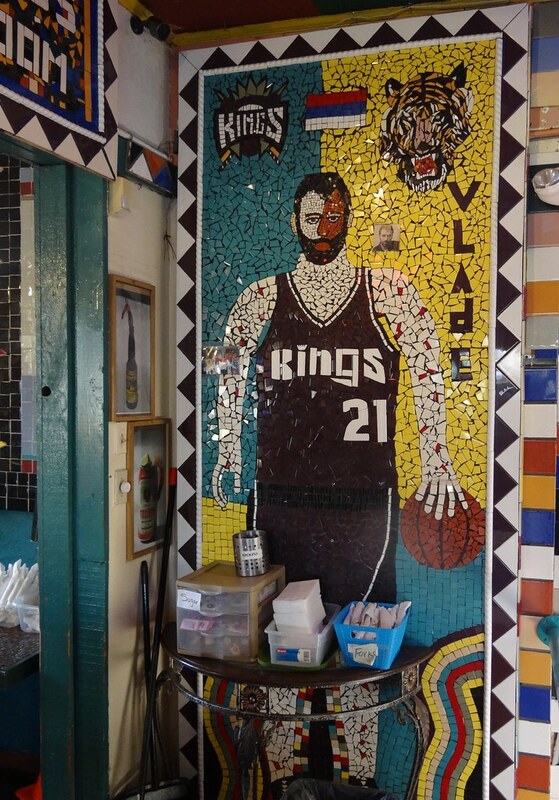 For some Old School Broderick charm, you can check out a super good Mexican food restaurant, Sal's Tacos which is worth going there just to check out the tile mosaic artwork. You can also GO BOWLING at Capitol Bowl which is just a fun place to hang. If you are looking for a great place to buy a house you can have Marty Swingle show you a few for sale in West Sacramento (after his race, of course). A short walk down the river, just on the other side of the Tower Bridge, is The Barn which is new and funky and Drake's Brewing is the operator and they may even be open by then. Or you can walk across the Tower Bridge into the tourist vortex that is Old Sacramento and go buy neat stuff at Evangaline's or bags of sugar at Candy Heaven. If you are into vinyl records there are two cool shops within a four minute drive, Delta Breeze Records in West Sacramento has an amazing array of used jazz/rock/soul, and Kicksville/Medium Rare Records covers a lot of the garage and classic rock stuff (new and used) over on R Street. If you are into super deep-indie/punk/goth/metal and are willing to drive a bit further, Phono Select Records is about 15 minutes away and will make you smile while you buy a pile of good wax. Bike Dog will be serving beer on site, but their West Sacramento Brewery is not too far away and is worth checking out. Lots more to do in the West Sacramento-vicinity, but that should keep you busy!